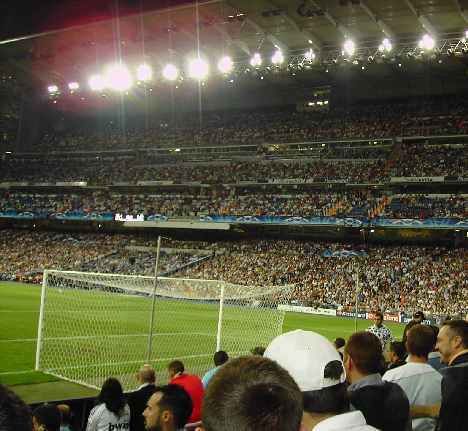 This gallery of Real Madrid photos comes from their home match in the 2007-2008 UEFA champions league match against Weder Bremen. 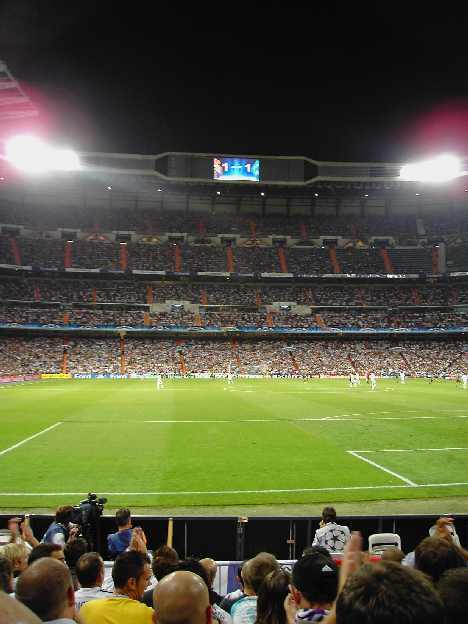 On the night Real Madrid ran out 2-1 winners however Bremen were unlucky not to escape the Stadium Santiago Bernabeu with a draw as the pace of their forwards tormented the Real Madrid defence all evening! 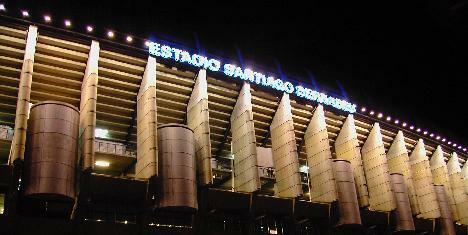 Suprisingly the Santiago Bernabeu is located in the heart of Madrid and lit up at night provides quite the spectacle for those driving by on Madrids main thoroughfare, the Paseo de la Castellana. The view from the Fondo Sur, home to the "Ultra Sur", is quite unique as the various tiers of the ground seem to go on forever! 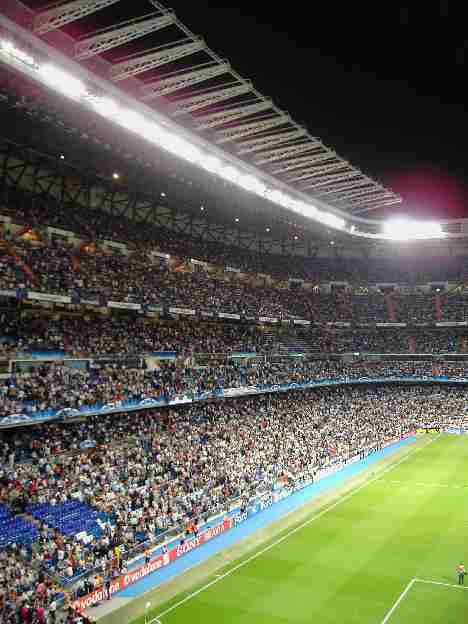 The lower tier is actually below street level! 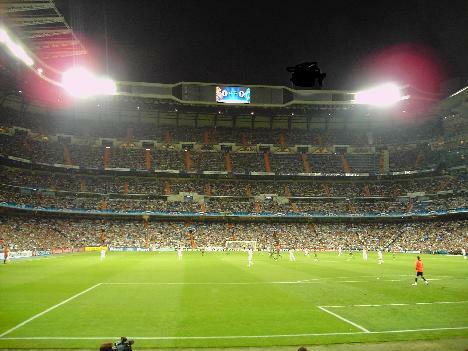 Despite the size of the Santiago Bernabeu all seats enjoy uninterupted views of the play.... Of course some have better views than others!! 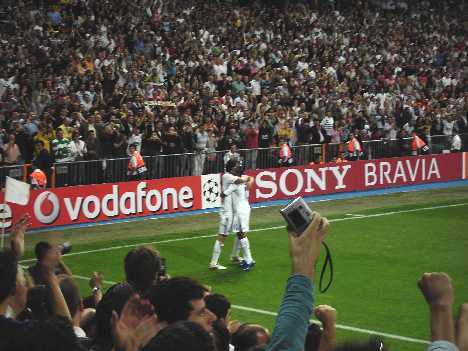 No collection of Real Madrid photos would be complete without the fans Idol Raul celebrating yet another European goal!! !